Why Do I Need A Roof Maintenance Program? Having a regularly scheduled program for roof maintenance can extend the life of your roof. The length of your roof’s life is directly related to how often your roof is inspected and how quickly small problems are identified and repaired. Once a roof system is in place there is nothing more important to ensuring the long-term performance of that roof than a program of regular inspections and proper maintenance. As many as 35% of all El Dorado County roofs do not reach their life expectancy. Straight Line Roofing provide Roof Maintenance programs in Sacramento, Placerville, and throughout El Dorado County. As an expert California roofing company, we know the effects our climate can have on your El Dorado County roof. It has been found that having your roof inspected twice a year with needed repairs done immediately can help it last as much as 50% longer than a roof that is only looked at when there is a leak. Having documented maintenance provides you with a written history of your roof and its repairs. 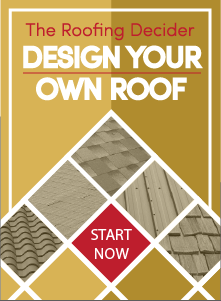 It can help you create a budget and a plan for your future roof needs. A roof maintenance plan not only extends the life expectancy of your roofing system, it can minimize your roof’s life cycle costs by deferring costly roof replacements until their time. Protect all the your roof warranties – materials, labor, workmanship – by regularly having a qualified roofing professional inspect and maintain your roof. Contact Straight Line Roofing to talk to our consultants about starting your Straight Line Roof Maintenance program today!